After initial attempts in Germany were discontinued, Globus is to test click & collect again - this time in Russia. Hypermarket operator Globus is to trial a new initiative to link e-commerce with its bricks and mortar business, Lebensmittel Zeitung reports. This time, the Germany-based company is going to focus on Russia, launching a click & collect service by end-2017. Reportedly, Globus plans to start with an assortment of up to 10,000 items including perishable goods. Shoppers will be able to order these products online and then pick them up in Globus’ hypermarket in Krasnogorsk, a suburb of Moscow. A roll out of the Russian click & collect concept to the retailer’s Czech and German stores is a possible scenario, Globus’ Head of Multichannel International, André May, told LZ. Globus is to launch click & collect in Russia after initial tests in Germany seem to have failed. Only in April this year, the retailer shut down its only remaining Globus Drive operation in its home market. The concept, first launched in 2011, was not able to attract enough customers to be profitable, according to the company. “We are now terminating the test phase and integrating the insights into our national multichannel strategy,” Drive Manager Anja Weirich said at the time. It appears that this is exactly what is now happening in Russia. Germany has been a challenging market for the launch of drive but the launch in Russia in no way represents an easy option. Grocery e-commerce is still at an early stage of development in the market and existing concepts don’t currently have great potential for further roll-out. This is mainly due to challenges in logistics and buying power. Market leader Magnit is currently testing an online service in Krasnodar, while grocers including Okey Group and X5’s Perekrestok Supermarkets have decided to focus on the region of Moscow for their online ventures. Also in the capital, premium supermarket operator Azbuka Vkusa has started to deliver not only groceries but also hot prepared dishes that are supplied to shoppers' homes within 90 minutes of ordering. Thanks to its advanced logistics, X5 seems to be the most promising player in the Russian grocery e-commerce sector. However, it is likely that this retailer is currently focusing on the roll out of its newly launched regional supermarket concept. As a result, X5 is probably not going to embrace online any sooner than the end of 2018. 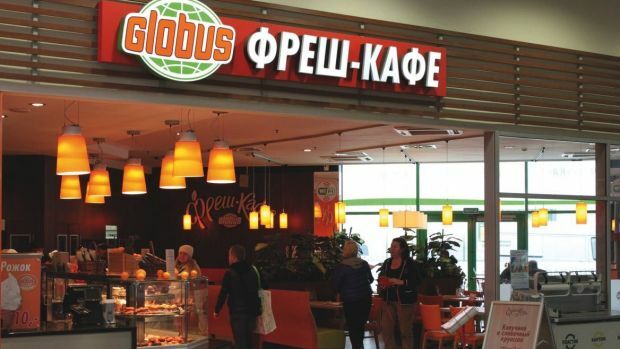 On a recent visit to Globus in Russia, LZ Retailytics learned from Country Manager Volker Schaar that the company plans to execute instore picking using the same ERP system. Part of the former beverage storage area will be used as the collection point and made accessible to shoppers. Since Globus only operates 13 hypermarkets in Russia, it is unlikely that the company is going to switch to another picking model. Even though Russia remains a challenging market for grocery e-commerce, it is not a hopeless case for Globus. A strong focus on instore production can help to keep margins low, while a focus on a premium clientele and/or the conurbation of Moscow should help to generate sufficient buying power. It is, however, a much bigger question as to whether the concept is going to be strong enough for an international roll-out. For the Czech Republic maybe – but for Germany, where even Globus' promising Fridel concept was put on ice, the retailer will have to come up with a different approach.